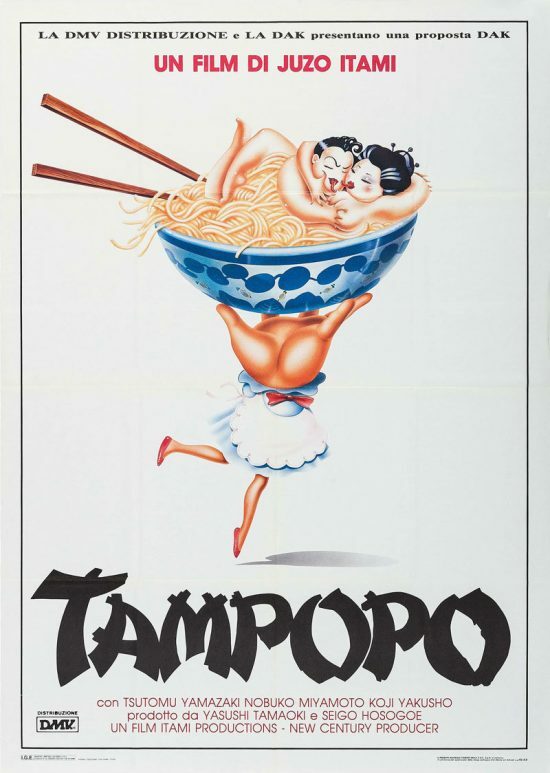 The title Tampopo, which is Japanese for “dandelion,” is the name of a fortyish widow (Nobuko Miyamoto) who is trying to make a go of the run-down noodle shop on the outskirts of Tokyo that her late husband operated. The name—it’s the name that the restaurant acquires, too—fits her. She’s a weedy sort of flower—a meek, frazzled woman raising a young son and doing her best to please the customers. She can’t, though, because she’s a terrible cook, and knows it. One day, a courtly truck driver, Goro (Tsutomu Yamazaki), and his helper eat at the shop, and Goro, who wears a dark-brown cowboy hat straight across his brow, like the righteous hero of a solemn Western, gets into a fight on her behalf. Seeing him take on five men, she is inspired by his courage. 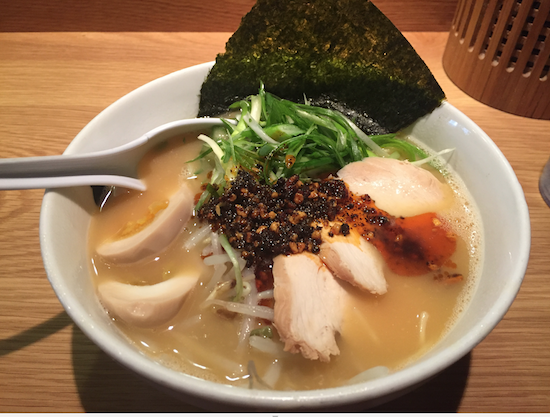 She tells him that meeting him has made her want to be a real noodle cook, and, in his formal, majestic way, he makes it his mission to teach her. He’s as proud of the refurbished restaurant, Tampopo Noodles, as he would be if he’d saved a medieval village. The film’s greatest charm is in Juzo Itami’s delicate sense of fatuity. He may have developed it during his years of acting. (He was in the American films 55 Days at Peking and Lord Jim as well as in Ichikawa films and, more recently, The Family Game, by Yoshimitsu Morita.) 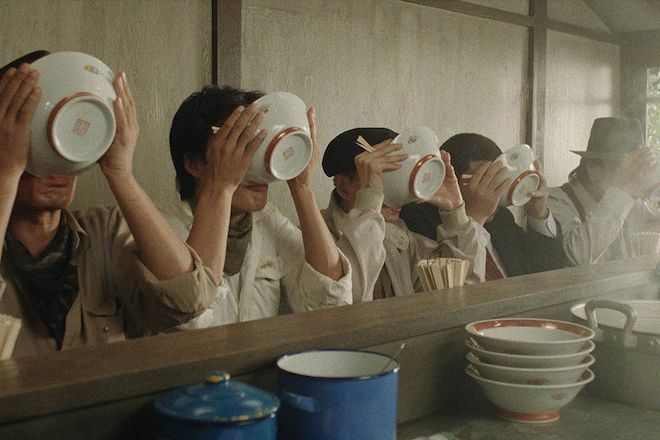 Tampopo, who seems to transform from within, like the American heroines of the thirties, weeps for joy when her band of friends and teachers pronounces her cooking perfection. Goro lives by his code, and he beams with satisfaction at a task accomplished. He’s as proud of the refurbished restaurant, Tampopo Noodles, as he would be if he’d saved a medieval village. He looks at the throng of customers waiting to get in and knows he’s no longer needed. Stately as ever, he heads out to his truck; the Old Master gets on his bicycle; and the whole group of mother’s helpers disbands.